Yesterday, I wrote about some of the troubling changes taking place here in Brazil. Today, it’s Good Friday, so I thought I’d focus on some of the good things that are happening. While it is certainly true that there are reasons to be fearful, I am of the opinion that there are even more reasons to be cheerful and that, in a few years, things might just work out all right. Brazilian politics has been in a terrible state for a long time now. Despite the introduction of ‘ficha limpa’ (‘clean record’), which sought to allow only people with no criminal past being able to stand for election, there has been no wholesale change. Indeed, as I quoted yesterday, up to 60% of politicians are currently being investigated for some sort of criminal action. The system has to change, and the only way it would be changed is from the outside. Perhaps it has taken so many corruption scandals and so much indignation, coupled with an economic recession, public health scares and lingering resentment over the World Cup and Olympics for Brazil to reach a point of no return. If it doesn’t change now, it never will. An interesting development from one of the protests a couple of weeks ago was when a couple of opposition politicians tried to join the protest and were told in no uncertain terms that they were not welcome, that they were as much a part of the problem as the government. In the past, I have said that the only people worse than the government are those trying to replace them, if other people realise this, then maybe there is hope yet. In a further, encouraging, development, Wednesday saw the release of a document from Odebrecht, a huge construction company that has just agreed to provide evidence on behalf of the state. This document included a list of the politicians they had bribed and included names from all across the political spectrum. My hope is that this helps to reinforce the idea that it is the system which is corrupt, that the system corrupts all those it comes into contact with and it is this system that needs reforming, not the individuals who happen to be in power at the moment. While there are arguments to be had over the limits of judicial power, the fact that the judiciary is able to take a stand is encouraging. The JP were given increased powers, resources and autonomy early on in Dilma’s first term, and it is exactly these powers that are being used against her and the previous regime. A strong judiciary, as well as a free press, access to social media and strong social movements should help keep future presidents in check as well as preventing a military takeover. People are going to jail. This might not seem such a big deal in other countries, but here in Brazil rich, influential people have, until now, rarely ended up behind bars. So far, it has been businessmen, but I am fairly certain that in the not-too-distant future some bug name politicians are also going to find themselves doing porridge. This is something to applaud. Future politicians and businesspeople are going to have to think twice before they engage in bribes again, or at least make sure there is no evidence of what they are doing so they can’t be caught. I was in a queue in a supermarket last week for an awfully long time. This is not news as supermarkets are notorious for taking an age to take you money. The interesting thing on this occasion, though, was as I finally got to the checkout the cashiers were all talking amongst themselves about politics. I heard jokes about Lula, updates on what Dilma had just said and looks of derision about Cunha. When I was out last Friday night, it seemed that no bar room chat could go more than 15 minutes without it coming back to politics. Most of my classes have, at some point in the last week, been dominated by politics. I haven’t been the one to bring up the subject for fear of alienating some of my students, but they have all listened to what I had to say and either agreed or respectfully offered a different opinion. For me, to hear politics being discussed by so many people in so many different contexts can only be encouraging and long may it continue. While there have been isolated outbreaks of violence, there hasn’t been any large-scale violence at all. This reminds me of the way in which Brazil made its transition to democracy from military dictatorship in that there was relatively little violence and bloodshed, especially compared to other countries in Latin America. There have been a number of calls for the military to step in a take power. I’m not sure f these calls are just from a vocal minority or are just being publicised by the government to highlight the threat of a coup. I am not a Brazilian military expert, by any means, but from what I have been told, the military has been so underfunded over the last 20 years that they are now pretty much incapable of staging a coup, never mind running a country that would then be in all kinds of trouble. There is also no appetite from other countries to support a military coup (yes, I’m looking at you USA). On the whole, taking yesterday’s reasons to be fearful and today’s reasons to be cheerful into consideration, I am genuinely optimistic about the future path of Brazil. There are potential roadblocks and dead ends that we could take, however, it couldn’t continue as it has been over the last few years. As this video makes clear, Brazil’s government is falling aprt…and it’s good news? 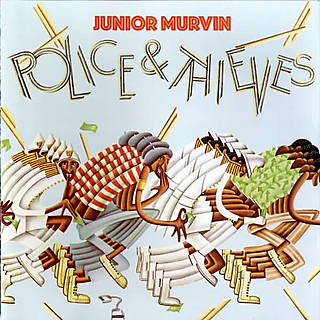 One of my favourite reggae songs is ‘Police and Thieves in the Streets’ originally by Junior Murvin but also covered by The Clash. I haven’t heard it in ages, but it came up on the shuffle setting of my iPod and,as well as bringing a big smile to my face, it got me thinking about how the song relates to the current situation in Brazil. There are a lot of genuine grievances that drove people on to the streets in June, and those grievances haven’t gone away. There are perhaps a number of reasons why the protests lack their earlier ferocity: political maneuverings; disillusion with the (right-wing?) direction the protests were heading; the end of the Confederations Cup leading to a lack of international focus on Brazil and, some would say, Brazil winning the Confederations Cup. As we can see with the continuing demonstrations by teachers in Rio, the occupation of the city council offices in Curitiba and the re-emergence of protests against the cost of public transport in Sao Paulo. Perhaps one of the main reasons why these current protests are not as well supported as previously, though, is the fact that they always seem to descend in violence. Most of the current protests follow a predictable pattern. Largely peaceful demonstrations are followed confrontation, usually between the police and the Black Bloc. There is claim and counter-claim that it was the heavy-handed tactics of the police that instigated to violence and that associations like the Black Bloc are merely protecting demonstrators, or that the police were only reacting to the vandalism of certain protestors. My natural inclination in all demonstrations is to disbelieve the police and take the side of the underdog. In this case, though, I believe both and neither at the same time. While the Black Bloc and other aggressive demonstrators might not be thieves, the effect has been the same as the words of the song. They are both scaring the nation. And maybe that is what they want. The one thing neither the police nor the violent protestors want is a fully functioning, mature and stable democracy. They are two sides of the same coin. If you are looking for other news and independent views about Brazil you’ll do a lot worse than checking out some of these fantastic blogs. The protests in Brazil started against the rise in bus fares but have morphed into protests against everything wrong with the country. The direct action on the streets has calmed down for now so it is maybe a good time to look at, from my point of view as a British man who has been involved in a number of protests in Britain, some of the peculiarities about the way Brazilians have been protesting on the streets. I must stress that I am not trying to say that one way is better than another, I am just trying to point out some of the differences. One stereotype of Brazilians is that they are night owls. They love to party well into the early hours. When it comes to protesting they certainly seem to like going out at night instead of the day. Protests took place during the week and after work. Because it is the winter this meant that night fell pretty quickly and so most of the protests took place in the dark. I don’t ever remember protesting at night, probably because it would be too cold, but it made for interesting scenes watching crowds of people under street lights. For a couple of weeks we had protests every night. The main cities were Sao Paulo, Rio and Brasilia, but all you had to do was turn on the TV, read a newspaper or log on to Facebook to see big protests taking place all over the country. While there might be localised protests in the UK, it would be very rare for them to go on for so long. Instead they would be focussed on big, one-off demonstrations. Brazilians have always cared about how the rest of the world sees them, sometimes they care too much. 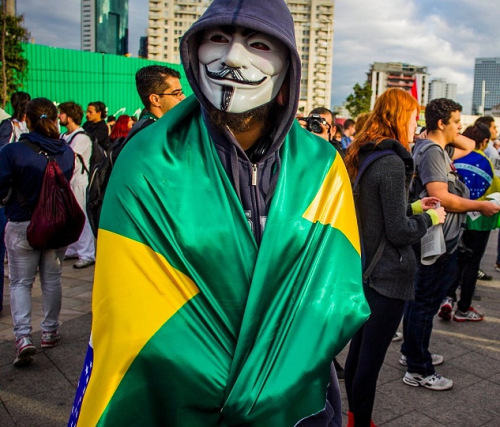 During these protests they made this a distinct advantage as there were Brazilians on the streets in London, Dublin, New York, Berlin… It felt as if every town somewhere in the world that had a community of Brazilians (and they do tend to spread) had a protest about the state of their home country. When I have been on protests in the UK, the last thing I have wondered about is what people in Brazil might have been thinking about. I also don’ t remember seeing the Spanish or Greek diaspora on the streets all over the world when they were protesting about the problems in their countries (I might just have missed this though, so feel free to correct me if I am wrong). Demonstrators in Montreal sing the Brazilian National Anthem in the pouring rain. I’m no fan of the way the police in the UK deal with protests. They often seem to want to be in control of everything, deny people’s rights to demonstrate and don’t get me started on the policy of kettling. However, the way the Brazilian police deal with any protest is to shoot first and ask questions later. There are numerous photos and videos of the police totally over-reacting to very minor incidents with pepper spray, tear gas and rubber bullets. Indeed, one of the reasons these protests were so popular was precisely because of the response from the police. Initially, the most shocking thing was the distinct lack of any political reaction. President Dilma was nowhere to be seen, senior politicians of al shades seemed determined to say nothing. It was as if they all thought that by sticking their heads in the sand and ignoring the problem it would all go away. To an extent I understand this reaction as the protests were directed primarily at the political elite. In a situation such as this in the UK, if a top politician refused to talk to the press they would be called cowards, or worse still, irresponsible and negligent. It would be a public relations disaster with the press clamouring for answers, but then that brings me to my final point. On the one hand the press reaction was exactly the same as I would expect in the UK in that they focussed on the minority committing acts of violence and not the vast majority who were protesting peacefully. The main broadcaster in Brazil, Globo, ignored the protests and then sought to play them down as merely some sort of vandals just set on destroying the country. Interestingly, half way through the protests they changed their tune somewhat and started to offer at least some support to the protesters. The reasons why they changed their tune are open to interpretation. One theory is that they were trying to direct the protests in way they suited them, to try to direct the protests in a certain direction. Personally I think it was more to do with ratings because they saw people leaving in droves to get their news from social media and other competitors, but I have no proof for that at all. A notable reaction from the protestors was to try to refuse Globo access to the protests. They were afraid that Globo were going to try to dupe the people again and so hounded them out of the protests and prevented them from covering what was going on. This video shows protesters shouting ‘The people aren’t stupid, down with Rede Globo’ while a Globo reporter tries to record her news item. If nothing else positive comes out of these last few weeks I have heard good things from young people who longer believe what they are being told by the main broadcaster and have started to think a lot more critically about the information they read and hear. Dilma’s Plan for Brazil: rachelsrantings.com – Some inital analysis of what President Dilma eventually proposed. The Salad Uprising: saladuprising.tumblr.com – Photos, videos and descriptions of protests from all over Brazil, mostly in English. Posted on June 24, 2013 by Stephen Greene Tagged 2014 World CupBrazilBrazil protestsfootballWorld CupWorld politics	Comments8 Comments on Should You Come to the World Cup? Should You Come to the World Cup? There has been a bit of talk recently about how people shouldn’t come to the World Cup this time next year in Brazil. The basic idea for this is that by not coming you will support the people of Brazil in their struggle for a better society. It is best summed up by this video by Carla Dauden, a Brazilian living in the USA. On the other hand, there is Mauricio Savarese who savages Carla and her like for negative and naive ‘vulture politics.’ So, what should you do? Assuming your country qualifies for the World Cup, and being English with an Irish background this is far from given, should you come to see the beautiful game in this beautiful setting? Money: The argument that you shouldn’t come because some Brazilians are protesting about the state of their country is, to my mind, a spurious one. The money has been spent. The stadiums will have been built. The roads will be half completed and the scaffolding will still be up at some of the airports. If everybody refused to come to the World Cup there would be two main effects: Lots of Brazilians, for example taxi drivers, hotel companies and the taxman, will lose a lot of money. Second, the government of the day will be embarrassed but would probably blame it on the selfish protesters. 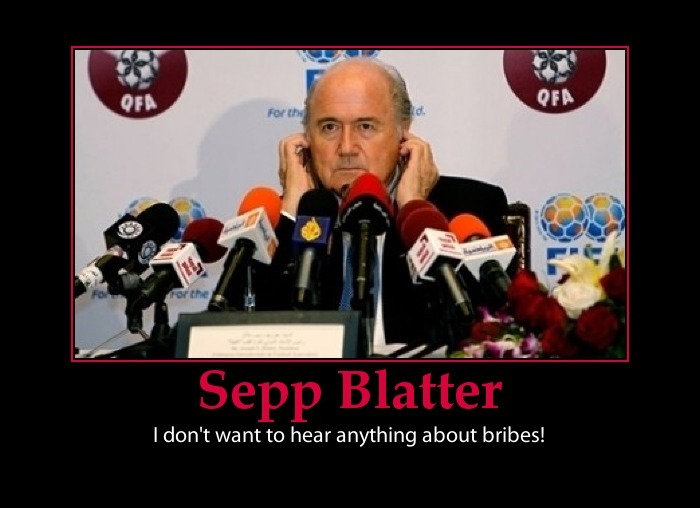 And boycotting the tournament won’t harm FIFA’s balance sheet one bit. All of their money comes from TV deals and sponsorship rights that have been signed and sealed a long time ago. The next two tournaments have already been designated to Russia and Qatar, hardly two beacons of democratic light that will give FIFA any nightmares about there being a repeat performance of widespread protest. It’s football in Brazil: I hardly need to say that Brazilians (in general) love football. There may well be some protests during the World Cup, but anybody who makes it here will see how much feeling the locals have for the game. It won’t matter if you don’t speak a word of Portuguese, you will be able to communicate in the language of football. There can be no better place to watch football than here in Brazil. You’ll see Brazil: Brazil is a beautiful country with a huge variety of things to see. 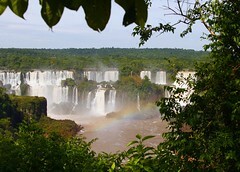 There is the natural phenomena such as the Pantanal, Foz do Iguaçu and The Amazon. Rio, the wonderful city (a cidade maravilhosa) really lives up to its sobriquet. The beaches and beach life all down the coast are amazing. Even the sprawling city of Sao Paulo is something you should experience at least once in your life. Cost: Getting here from Europe will cost quite a bit. And then once you are here the cost of living is pretty high (one of the things that some people are protesting about). You’ll probable need internal flights because the country is so big and the schedule has been designed with the fans at the bottom of the list of priorities. And then, because it is the World Cup and you are a gringo, everything will be even more expensive than usual. Getting around: One of the main reasons for protests has been the lack of expenditure on infrastructure in the country. This is mainly aimed at hospitals and education, but also at roads, ports and airports. Inflation is starting to rise again in Brazil, and one of the reasons is that the country is at its limit in terms of getting people and products from one place to another. The roads are abysmal. The airports are a joke. The international airport in Sao Paulo (Garulhos) is one of the place I most hate to be in the world. Crime: Crime, and security in general, is a big motivator for people to get out on the streets and protest. At past World Cups and European Championships most of my friends have ended up sleeping in tents in order to save money. If you do that in Brazil don’t leave anything valuable like your iPad in your tent because I can see lots of stories of them being nicked. One of the reasons crime is such an issue is the fact that the police are next to useless. The only thing they are good at is whipping out their guns when there is any hint of trouble. I can easily envisage European supporters having one too many drinks and getting a bit rowdy. The police will have no idea about how to handle this situation and it could all end up a bit messy. Spain are going to win: If it isn’t Spain it will be Germany. Spain are the reigning World and European champions and I think their tikki takki style of play is boring. Not like England who play beautiful, free-flowing, direct and attacking football but always get bad decisions from the ref. Oh, and FIFA hates us. At least that is my story for all the years of hurt I have had to endure. So, if you can afford it, I would say come to the World Cup. You’ll have a wonderful time, even though there will be some problems around the tournament. But then again, that is pretty much what life is always like in Brazil. Are you planning to come to Brazil? Have your plans changed because of the protests? Are you a Brazilian who thinks people shouldn’t come? Why/why not? I would love to hear your thoughts inthe comments section below. It’s the Double Standard, Stupid: andrewdownie.wordpress.com – This is a great blog about Brazil written by a foreing journalist living here. Yes, I Am Going to the World Cup: abrazilianoperatinginthisarea.wordpress.com – This is the article I mentioned in my post above. I supported the World Cup bid, but even I am against it now: guardian.co.uk – The great Romario is now a surprisingly good congressman. Cancel the Cup? 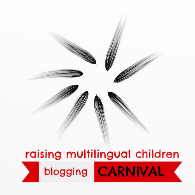 : bornagainbrazilian.wordpress.com – The comments section here has some lively debate about whether Brazil should anticipate any boycott and just cancel the whole shebang. I got back to Brazil last Wednesday (12th) and in the car on the way home my wife asked me if I had seen anything about the protests in Sao Paulo. I hadn’t heard a thing and to be honest I wasn’t that interested. There are always small protests going on in Brazil that never get anywhere due to aggressive policing, apathy and a general distrust of protesters. Obviously I was wrong because these protests have continued and mushroomed so that there is barely a city in the country that hasn’t been affected. Why? What was so different about these protests? The protests started because of a proposed raise in the bus fare of 20 centavos. While this might be a lot to somebody on minimum wage it doesn’t account for why the whole country has suddenly erupted. It has been claimed that Facebook and Twitter have been responsible for a number of uprisings around the world. Other people have poured scorn on these claims and I wasn’t absolutely convinced. I am now totally convinced at the potential power of social media. Brazil is a very connected society. There is a huge Brazilian population on Facebook and Twitter and whatever else you care to mention. With rising incomes we are also seeing more and more smartphones around the country. They are still nowhere near ubiquitous, but it is no longer unusual to see an iPhone or a Samsung Galaxy on the bus. Social media outlets were flooded with videos shot on phones of the behaviour of the police. The media, police and authorities were no longer controlling the message. Everybody knew that the police could not be trusted, but now we had first hand evidence. 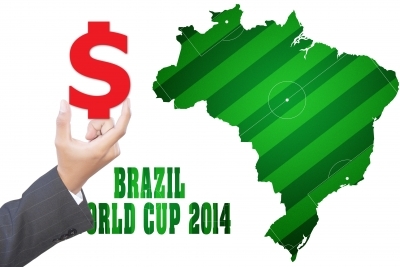 One of the things that galls Brazilians is the amount of money that has been spent on the FIFA World Cup. Depending on who you talk to the cost is anything between R$59 billion and R$80 billion (about $25 billion and $35 billion). This is apparently more than the last three World Cups put together. What ever way you look at it, it’s a lot of money. The authorities say that a lot of this money has also been spent on infrastructure projects like airports, roads and hotels. There have been some projects but from where I am sitting it doesn’t feel like it has been worth the money. And we still have crap schools and hospitals. At the same time, it can be no coincidence that the demonstrations started just before the Confederations Cup. This is a dress rehearsal for the World Cup next year and has meant that a lot of the world’s media are focussed on Brazil and looking for background stories. What makes a better story than a lot of riots and protests going on? Corruption is endemic in Brazil. One of the first words I learned when I came here was jeitinho, which basically means ‘a way to get around things’. The things that you want to get around are usually rules, laws and obstinate/incompetent officials. You want to get your bank account sorted out today without that extra document you didn’t know you needed? Talk nicely, plead or offer a little sweetener and it might be possible. This idea runs from the bottom to the top of society. Some Brazilians are even proud of it as they think it shows an ability to think outside the box and overcome obstacles. This may be true, but it also leads to huge corruption at the top of society. For as long as I have been in Brazil there has been scandal after scandal as politicians and businessmen are shown to bo on the take. And nothing ever happens to them. And now Brazilians are finally fed up with it. They have had enough and they want something to change. The politicians had the idea of changing things. There is a bill being debated at the moment called PEC 37 that will make it harder for them to be prosecuted. This isn’t the kind of change that most Brazilians had envisaged. Brazil is a relatively young democracy. The military government slowly relaxed its stranglehold over the country from 1980 with the first elections for state governor and senators. It wasn’t until 1989 that Brazil held its first direct elections for President. This means that the current generation of 20-somethings is the first to be born in a democratic country (whatever that might mean) and the 30-somethings will have no real memory of living under a dictatorship. This, to my mind, is important as they have grown up thinking they have the right to be heard and represented by their politicians, unlike, perhaps, their parents’ generation. These seem to me be important reasons why these protests have been successful when others haven’t. There might well be others and if you know of any I would love to hear about them in the comments below. I don’t know what is going to happen next. I don’t think anybody does, really. This will be the topic of my next post once I have had a bit more time to think about it. Brazil Awakened: It’s not about 20 cents: rachelsranting.com – This thoughtful piece is written by an American living in Rio. Brazilian Protests Explained: It’s not the economy, Stupid: abrazilainoperatinginthisarea.wordpress.com – This detailed piece is written by a Brazilian journalist living in London. It contains a lot of links to other videos and is well worth a read. The Salad Uprising: saladuprising.tumblr.com – A great collection of photos and videos documenting the protests since they started. 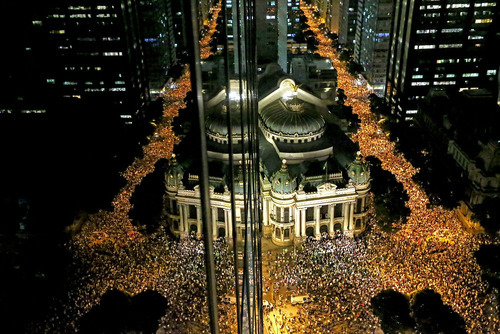 #changebrazil: youtube.com – This 5-minute video gives some brilliant context to the protests. Sepp Blatter urges Brazil protesters not to link grievances to football: guardian.co.uk – I hated Sepp Blatter even before he came out with such vacuous comments. Grrrrrrrr!